Warren Lee Boyle was born on February 10th, 2017. 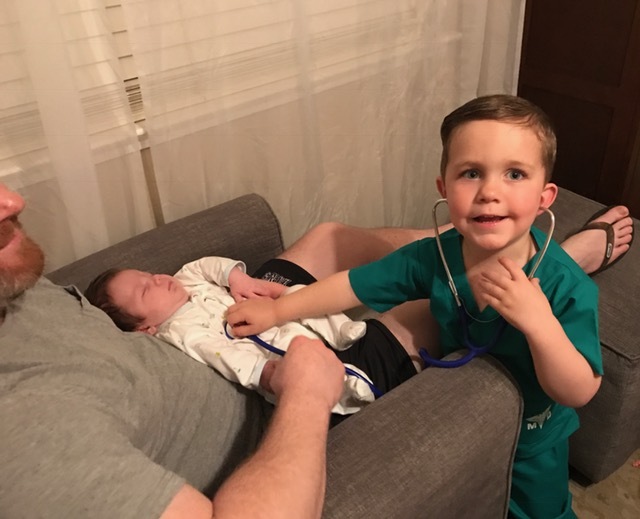 Parents Misty and Seamus were over the moon and had one evening of bliss with their baby before doctors soon suspected something was wrong with Warren's heart. He was then quickly transferred to UCSF Benioff Children's hospital. 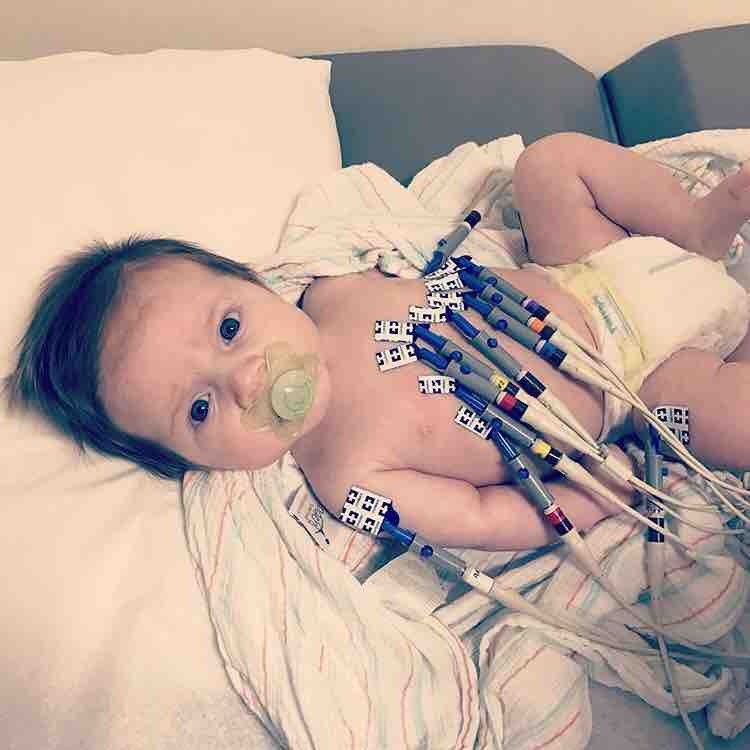 After countless tests, they learned he suffered from multiple heart defects. The most troublesome being his mitral valve which was causing regurgitation or the back flow of blood. They were told his mitral valve would probably need to be replaced with a metal prosthesis. A prosthesis that would not only need future replacements but was not able to successfully serve the small size of a newborn's heart. 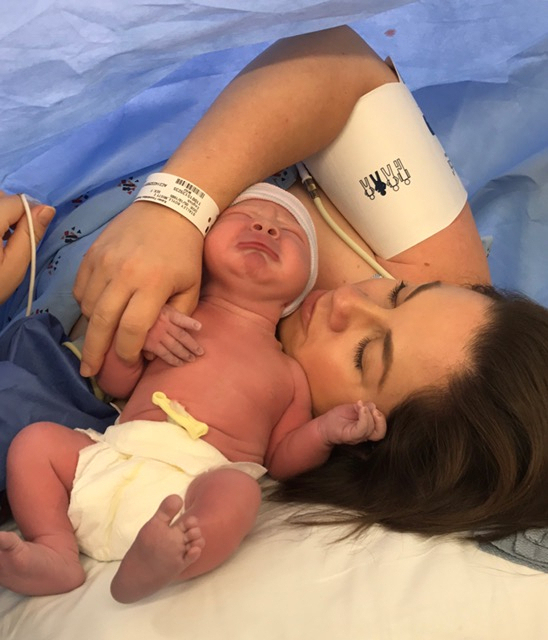 Their hope was that his condition could be stabilized through medicine and that surgery could wait until he had grown to a safer size. Warren soon proved he was a warrior and through the grace of God, responded well to treatment and was able to gain weight and eventually breathe on his own. 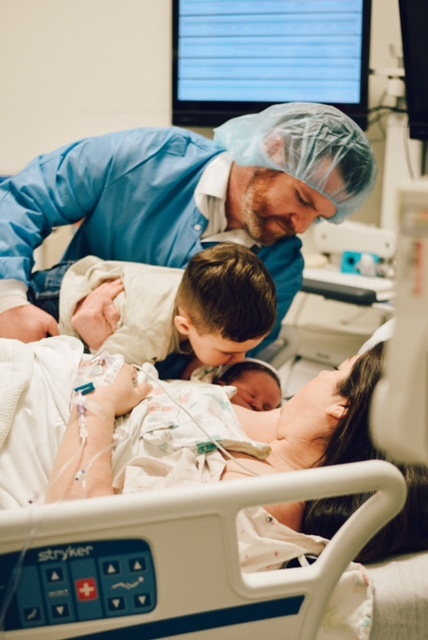 After a month of hospitalization, doctors told the Boyle's that Warren was stable enough to go home and grow. Warren's condition is ongoing and needs to be constantly monitored for the foreseeable future. Surgery is imminent but we just don't know when. Unfortunately bills and out of pocket medical costs are adding up for the family. 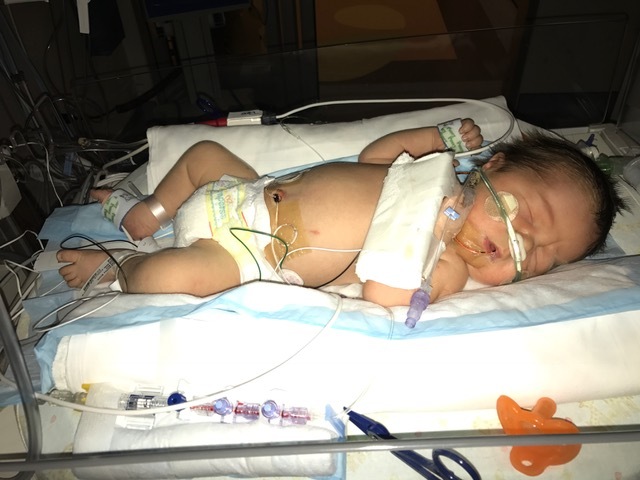 The funds raised will cover Warren's deductible/co insurance along with the estimated costs of his medicine and cardiology tests for the remainder of the year. These donations will be put into an account solely dedicated to paying for Warren's care. We would appreciate any support for the family you can give whether it be financially or through your thoughts and prayers. From Seamus and Misty: As news spread to family and friends, so many people have reached out to ask how they can help. All the prayers, loving messages, dinners, visits, and the generous amounts of leave time that Seamus' co-workers selflessly covered have been appreciated. Thank you can't even begin to express the immense gratitude we have for all the love we've been shown in this time of need. As we sit here praying day in and day out, we watch our little warrior fight his battle. We know that we are not alone, God is with us along with our family and friends. We are truly humbled by all the love and support. From the bottom of our hearts, we thank you for your generosity. God bless you. 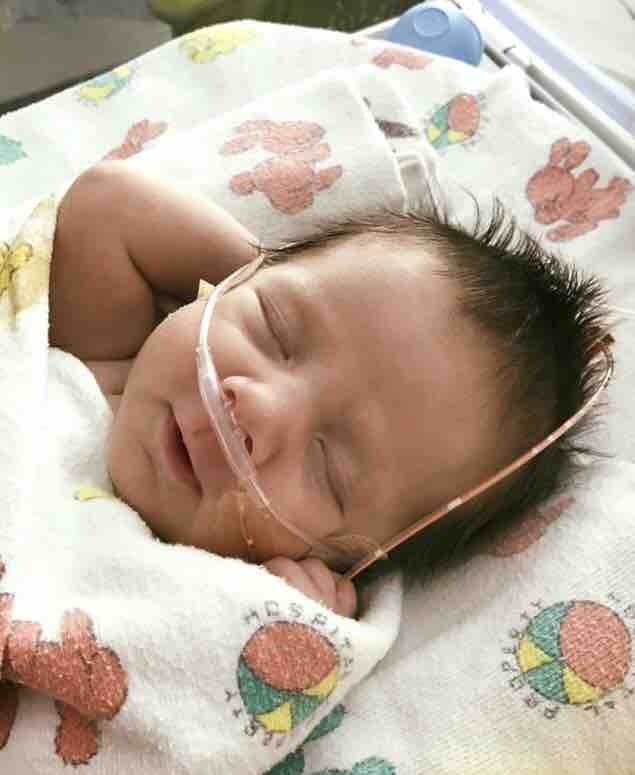 Baby Warren had emergency open heart surgery on the 4th of July. He was having difficulty breathing due to his worsening heart condition so surgical intervention became necessary. 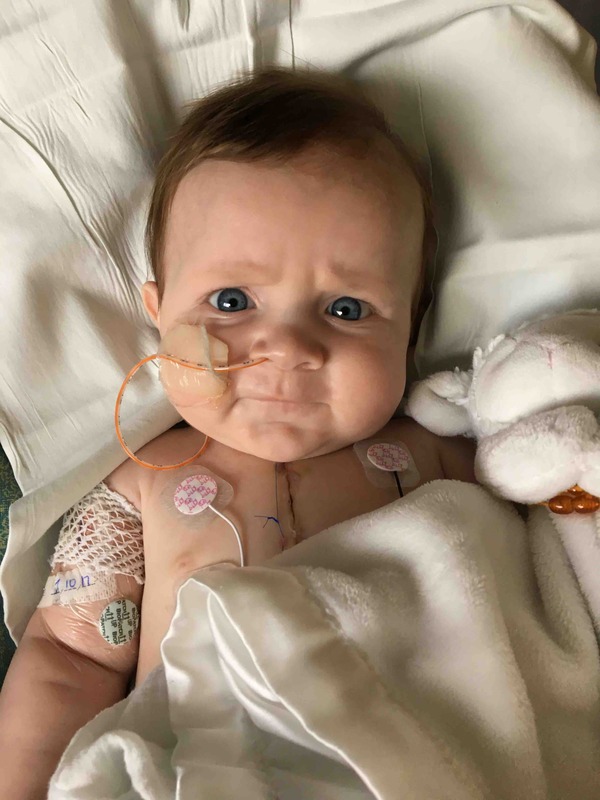 But through the grace of God, our angels, and the amazingly talented staff at UCSF Children's hospital, Warren had a successful repair operation! Dr Reddy was able to reconstruct Warren's mitral valve with existing tissue from his heart. We didn't even know that was a possibility. We have witnessed a miracle and know that we are truly blessed. Warren is healing quickly and progressing well. He just started taking a bottle again and we were able to go home yesterday, July 17th. We will continue to do monthly heart ultrasounds to ensure the repair was sufficient. We are so blessed and humbled by all the love and support we have been given. From the bottom of our hearts, thank you. We are eternally grateful. You are a part of his story forever. God bless. On Wednesday, June 7th, Warren's grandmother and Seamus' mother, Patricia Rafferty Boyle, became pain free. We will miss her but we know she is always with us. And now watching over her grandchildren. May she Rest In Peace. We love you Mom. Unfortunately, yesterday's tests show that Warren's heart is quickly becoming too enlarged. His doctors are hoping by increasing his meds that we can buy a couple more months before a repair surgery is needed. Thank you for your continued prayers and support. Get well wishes for Warren! Someday we'll be hanging out with our little boys while they're wrestling with each other. ;) Miss you Misty, Love and Prayers for you & your beautiful family! in memory of Warren's amazing and Spirited grandmother, Patricia!